A new addition method is described in this study for calculating the partition coefficients of peptides. LogP and logD values of peptides are calculated by summing the contributions of the component amino acids. 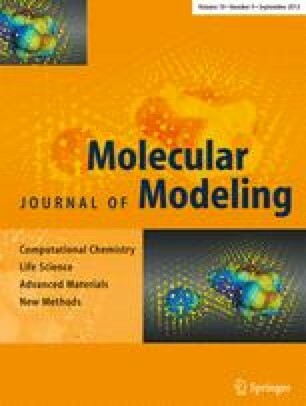 The final models are derived from a multivariate linear regression analysis of 219 peptides with known experimental data. The standard errors in a leave-one-out cross-validation are 0.23 and 0.24 log units for the logP and logD values, respectively. The predictive ability of the model is tested by an extra set of ten peptides, and the self-consistency of the model is further demonstrated by a new validation procedure called the evolution test. The parameters obtained in regression could be used as hydrophobicity scales for amino acids. The application of such hydrophobicity scales has also been discussed.